Link building has long been one of the primary tactics used by brand managers and bloggers to gain more exposure and boost their stance within searches. While this tactic used to be easy and very effective, the nature of algorithm changes in search engines like Google have made it less effective and more difficult to achieve. Spam links, for instance, can have profoundly negative consequences on who you can reach through search, while other bloggers and websites are more sceptical of who they link to for similar reasons. Below, we’ll discuss how you can begin building links with real value for your website or blog, so that it can be a quality over quantity endeavour. 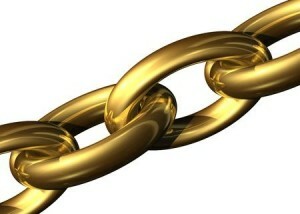 A good place to start on building links is to first determine who exactly is doing better than you at it. Your competition in search can easily be found by searching for the keywords you target. Quickly make a list of each competitor that ranks better than you in these key search results, as you’ll be exploring their connections. There are several link assistance tools out there that will help you track down who is linking to your competitors’ websites, shedding light on how they are achieving their prominence (in part). With this information now available, you can decide to reach out to the same entities for a link as well, or merely use this as an opportunity to figure out which types of (different) sites are best suited to be targeted. Once you have put together a list of potential link partners that you would like to approach, it then becomes necessary to explore their own standings. On the web, you’ll find a variety of website penalty tools that help make sense of whether or not websites are engaged in proper SEO (or have been pinging to Google bad indicators). While no tool will empirically tell you whether or not a site has been affected by a penalty – or for what reason – many of these tools will overlap site performance with algorithm changes like Panda, Penguin, and the more recent Mobilegeddon updates in order to give you an idea as to whether or not they are worth your time. No website will simply link to you for no reason (and if they were willing, then beware). As such, finding ways to add incentive to linking back to you is a must. While there may be commonalities between your site and the potential partner, it is a good idea to take this one step further by analysing their style and content preferences. It is likely that you’ll be able to create a piece of content that not only fits your niche but that also appeals to their audience as well. This makes it much easier to sell the concept of linking back to you and your content, as their readers will be more likely to engage with the content. Building links so that you’re pinging to Google better indicators is great, but you also want links that others on these partner sites will be willing to click on. « Let’s Get Those Pages Optimized, One Keyword at a Time!